The first sentence excites my heart. Like the first scene of a grand adventure. But for me, this is a familiar tale. I spent last summer with some of the young women from our church reading through “What Happens When Women Say Yes to God” by Lysa TerKeurst. I was challenged at that time by her stories and wisdom shared. But now, as I begin this book yet again (with, might I add, over 22,000 women on the Online Bible Studies, praise the Lord!) 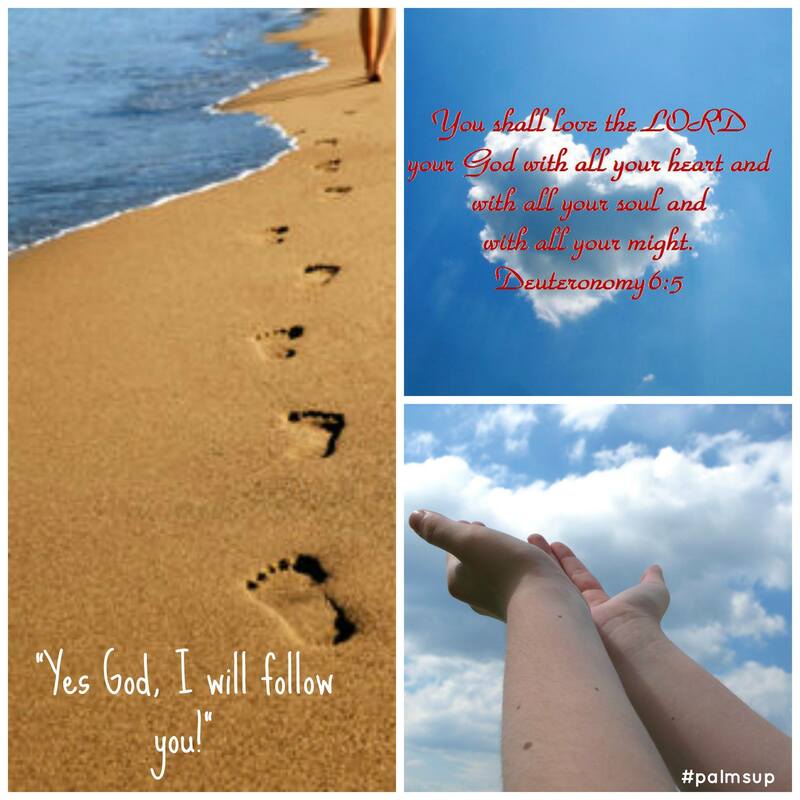 I find myself excited by the first line–remembering the lessons learned last summer and anticipating the lessons anew and life changing challenges that will come when I surrender to the Lord and with #palmsup say yes to God. God, I want to see you. God, I want to hear you. God, I want to know you. God, I want to follow hard after you. And before I know what I will face today, I say yes to you. Trust. Faith. Obedience. These are the lessons that are to be learned as I surrender to the Lord. In just a few pages into the book I feel my heart being broken, refined in the fire. It is painful and exciting at the same time, and I am ready for this journey. Thank you for shaging your journey with us! I am visiting from the blog hop. I love the sisterhood of this Bible study. I love that we can learn the lessons of trust, faith, and obedience one day at time. Trusting God moment by moment and saying yes to Him in each of those moments. Have a lovely day!